For strong and sturdy mesh reinforcements, the team at Naybur Brothers Ltd can supply and deliver materials to any size of project. Using our 70 years’ experience as suppliers of hard landscaping and building materials, we’ve built up a fantastic reputation as a family-run firm who serve both homeowners and the construction industry alike. 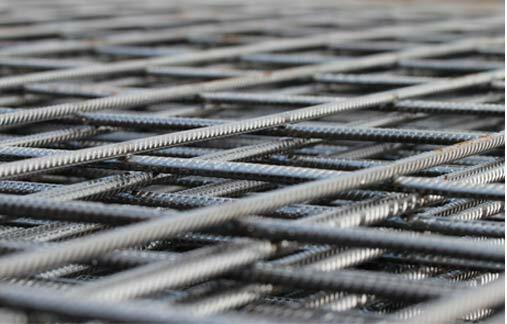 Steel reinforced mesh is vital for many uses, including industrial, construction, and agricultural, and is often used to reinforce concrete slabs. We stock only the highest quality mesh to ensure our customers receive a totally durable product for their project. Our specialists pride ourselves on our broad range of available stock, in addition to our quick turnaround for all jobs. To find out more how we can help, get in touch with our advisers today – we’re happy to assist projects across Potters Bar, Enfield, Barnet, and beyond areas.